SOLDIERS, last night, invaded Okpelama community, Gbaramatu kingdom, Warri South West Local Government Area, Delta State, in search of militants, who commenced bombing of crude oil and gas pipelines in state, few hours after a Federal High Court sitting in Lagos issued a bench warrant for the arrest of ex-militant leader, Government Ekpemupolo, alias Tompolo, last Thursday. Vanguard learned that the soldiers were also keeping surveillance on Kurutie, the hometown of Tompolo and Oporoza, the traditional headquarters of Gbaramatu kingdom. Tompolo, however, has continued to plead his innocence in the attacks, saying he did not carry out any bombing and did not send anybody to destroy oil installations. He insisted that his enemies sponsored the mayhem to spite him. 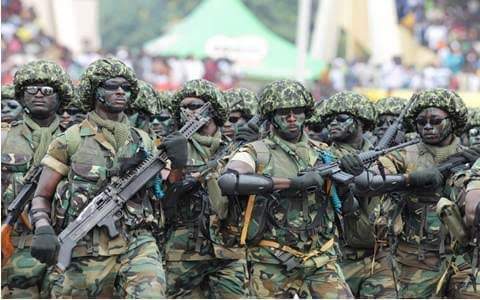 A source at the community told Vanguard that the soldiers, who stormed the community with gunboats at about 10.45 pm on Saturday broke into homes of the villagers, many of whom scampered into the bush on sighting them as they alighted at the jetty front. He said some members of the community were still in the bush at about 7.30 am Sunday morning. Chairman of the community, who later spoke to Vanguard on phone, corroborated the invasion, saying that the people were surprised that soldiers invaded the town, as they had nothing to do with the ongoing attacks by militants. Okpelama community chairman told one of our reporters that after last night’s raid, the soldiers came back again on Sunday morning to the community’s waterfront, but did not enter inside.